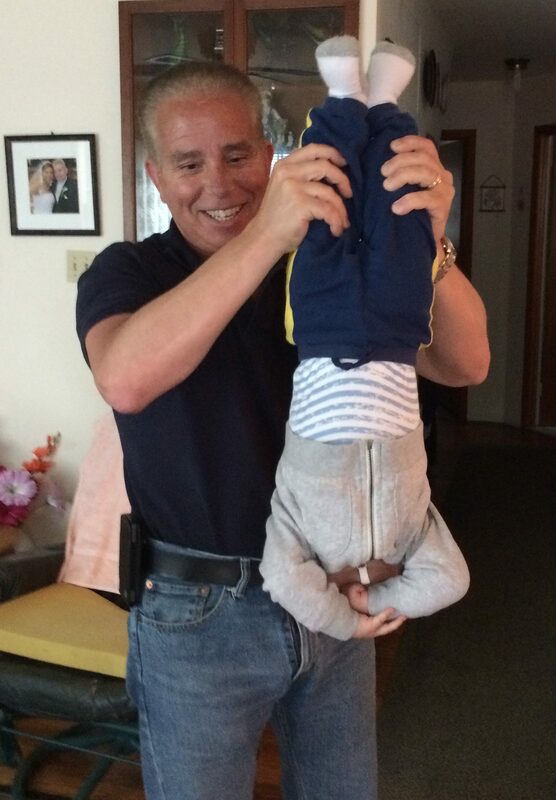 My brother showing me how to hold a baby. 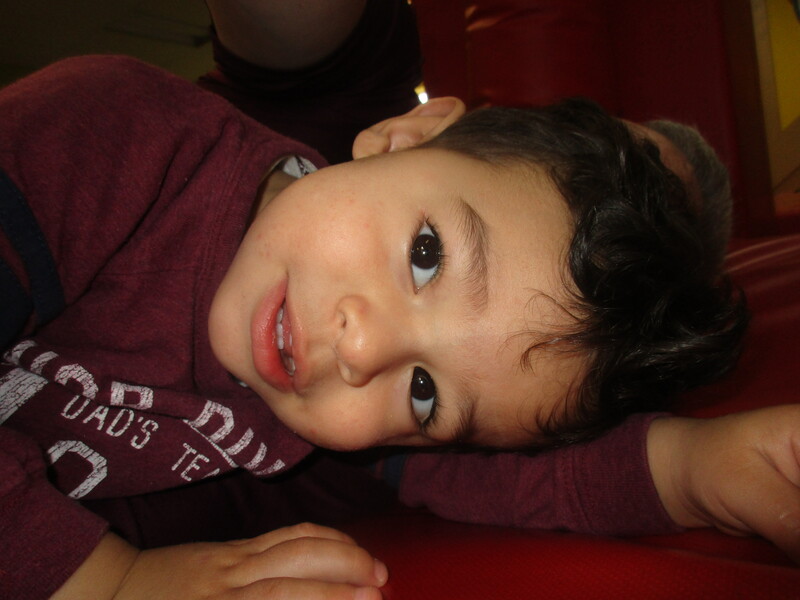 A funny thing happened a few weeks ago, Cristian turned 18 months old. A lot’s changed in a year and a half. I no longer look like a gorilla dragging a baby around the cage. My better half doesn’t have to stuff the baby bag and leave three complete outfits for the baby. She still does—but doesn’t have to. It’s been over a year since I looked at the extensive list of care instructions posted in the kitchen. Cristian’s grown into a hyperactive toddler, kind of like the Tazmanian Devil on Red Bull, and I’ve become a functional Stay at Home Dad. Getting here was twisty road of diaper blowouts (his not mine), empty bottles (mine not his) and unsolicited advice from just about everyone. Feeding, bathing and dressing the baby is now part of my daily routine. I no longer hear It looks like Daddy dressed you today. Okay maybe from Esther—geez you forget to fasten the snaps on his onesie a few times. A year ago, women at Target sniffed out diaper changes. People at the post office suggested he may need a nap. 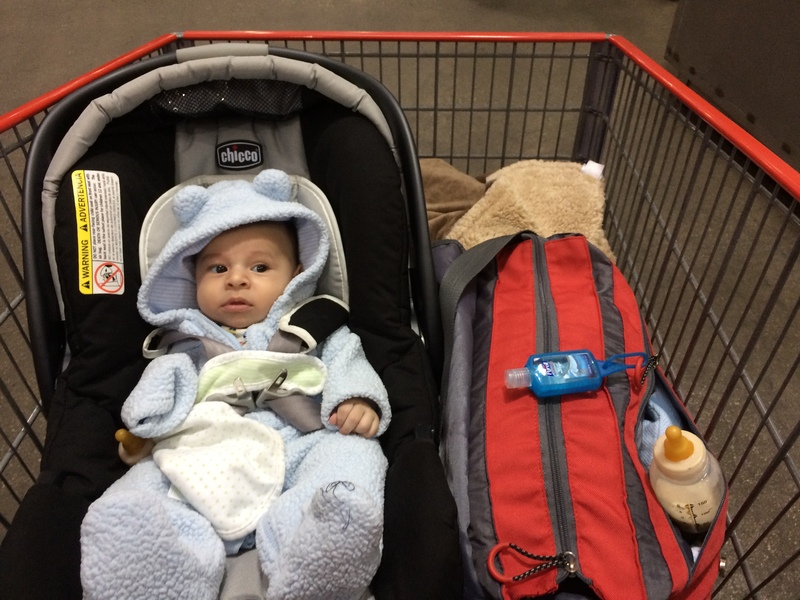 Families at Costco gave me stink eye when I put the baby into the same shopping cart with a few gallons of bleach, a case of motor oil and 10 pounds of seafood. Imagine if I threw the live lobsters into the cart, like I wanted to. What are you doing with those lobsters Daddy? The family has gotten better too. They no longer rush to feed or change the baby when he cries, just when I thought I had them trained. Watching me take care of him eased their anxiety, or maybe they realized they’ve become material for a post or two. You think that would be the end of it, of course it isn’t. 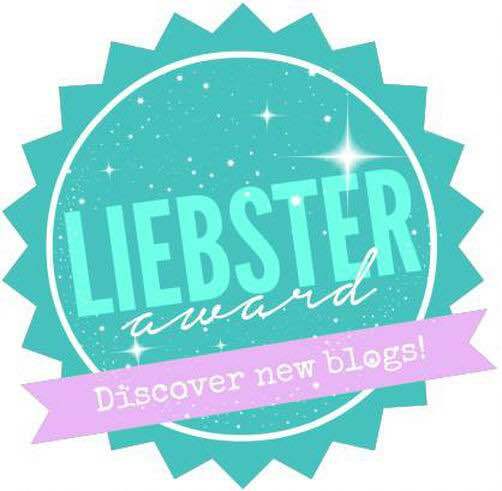 Haven’t you been reading this blog? Having graduated from feedings and diaper changes, Parenting 101, I’ve moved onto the advanced course. It started with a few subtle hints from the family elders, who am I kidding about subtle. To give you some background on the family elders. I once overheard them remark about how a new mom still had her baby belly—two days after a grueling 20-hours of labor ending in a C-Section. To hear them talk they all went straight home from the delivery room and did three loads of laundry. According to them when they raised us we always ate elaborately-planned home-cooked meals, didn’t fight them at bedtime, and never got dirty. Oh selective memory is a wonderful thing. I remember being called a bad child, constantly being scolded for getting dirty. Parenting guidelines and norms changed over the years. When I was a child, parents barely childproofed their homes, small children rode in the car’s backseat without a child seat or seatbelt, and moms did the heavy lifting regarding childcare. So I can only imagine their shock at watching us raise our own children. I don’t need to, I hear it constantly, but that’s okay. As Cristian keeps growing and hitting developmental milestones, I’m hitting mine as a parent. I guess it’s a good thing I keep a blog.